As regular readers of Gidday From The UK will know, I have just played host to my lovely Mum at Gidday HQ. Having visitors of the family kind stay in ‘your space’, I’ve always felt that it’s important to sprinkle the intensity of trying to cram 18 months apart into 10 days with a jaunty outing or two. Which brings me to Greenwich. After stuffing ourselves severely the day before (see the Departures post for a snippet of our High Tea exploits), what was called for was an outing full of fresh air, fascinating facts and fab photo opportunities. So we headed out into a clear, crisp Sunday to explore the delights of South East London. 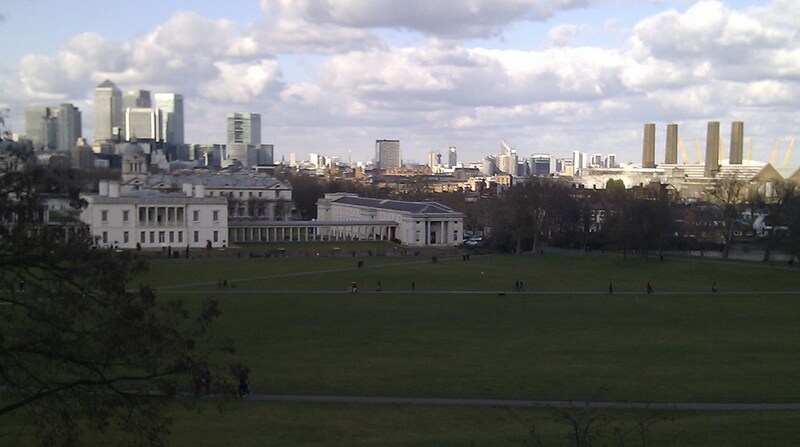 Having never been there before, I seriously underestimated how much there is to actually see and do in Greenwich. There’s the Royal Naval College, the Maritime Museum and Greenwich Village just to name a few. 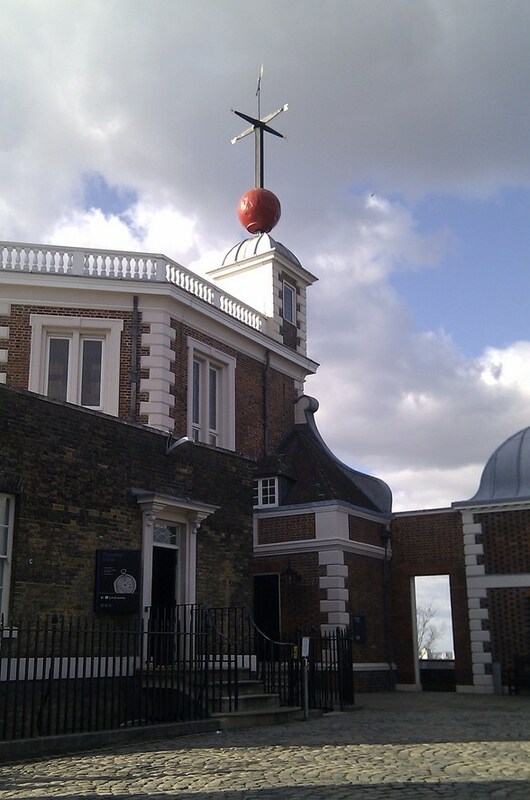 But Greenwich is most famous for its status as the beginning (and end come to think of it) of time and so, like good little tourists, it was to the Royal Observatory we went. Yep, there is it. On the top of the hill. 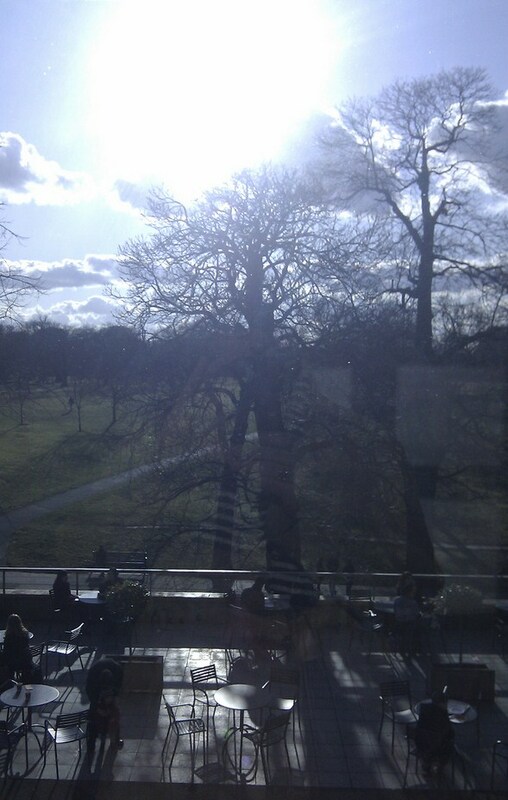 A meander through Greenwich Park followed by a steep, short yet concentrated walk upwards. 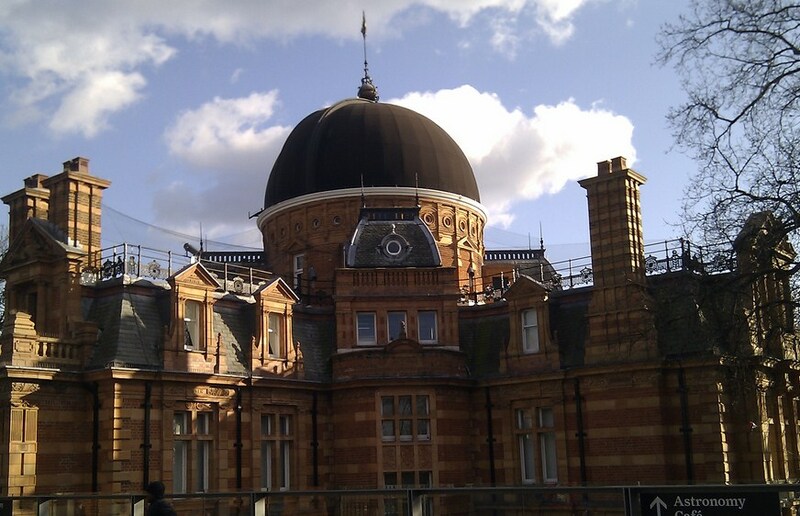 The Royal Observatory was founded by Charles II in 1675 who decided to build an observatory in Greenwich Park, his own royal back yard so to speak. The ability for early sailors to safely navigate the high seas once out of sight of land was extremely limited and while a comprehensive understanding of the skies was seen to offer a solution, the conundrum of time was inextricably linked. And in defining one’s position east or west, the important question of ‘from where?’ has left us with the Prime Meridian and Greenwich Mean Time. John Flamsteed was appointed Astronomer Royal and every night for 40 years he used a telescope and clock to record the movement and altitude of stars across the meridian line. After a disaster at sea in 1707, more reliable means of finding longitude at sea were sought and it was Yorkshire carpenter turned clockmaker John Harrison who solved the problem almost 60 years later. (His four timekeepers are on display and in full working order!) On his 1768-71 voyage to explore the South Pacific, then Lt. James Cook (yes, the dude that came a cropper on the reef off the coast of what is now Far North Queensland Australia in 1770) became the first to successfully test this new method of finding longitude at sea and he continued to test emerging methods on two further voyages until 1779. 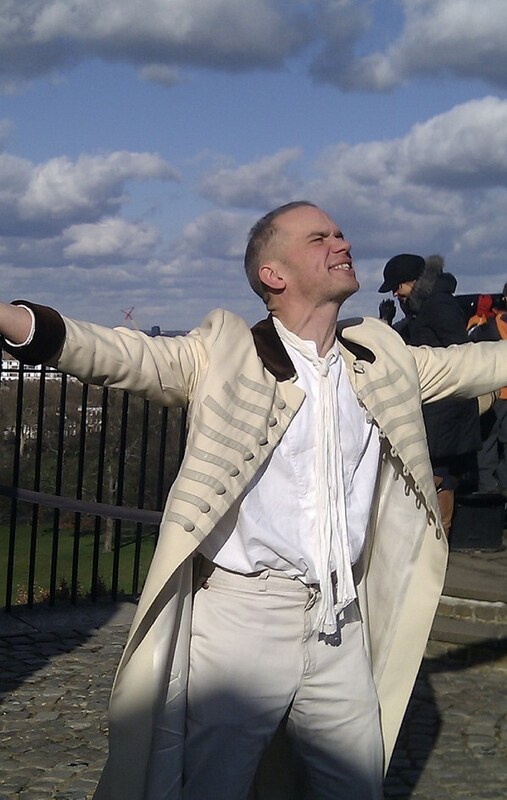 The meridian line shifted four times (across the now Prime Meridian Courtyard) as each new Astronomer Royal took advantage of the increasing accuracy available. And finally in 1884, the Greenwich Meridian was awarded the prize of Longitude 0º by 41 delegates from 25 countries, making it the Prime Meridian of the World. Makes it sound like a super-hero doesn’t it? 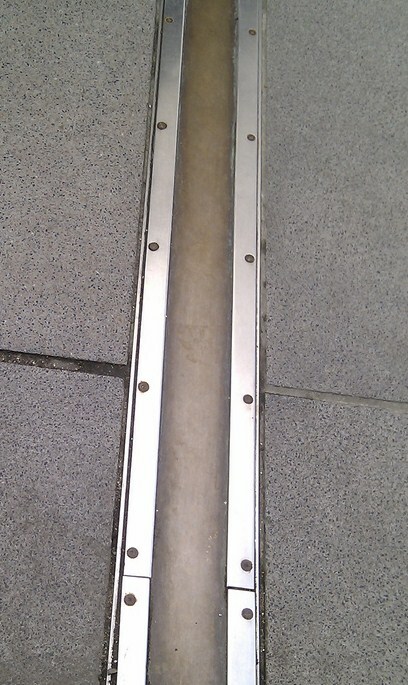 The Prime Meridian Marker at the Royal Observatory Greenwich. I had to be quick to get this before the next in the very long line positioned themselves for a happy snap. There’s a spectacular view of Canary Wharf (L) and the O2 (R) from the Observatory hill. 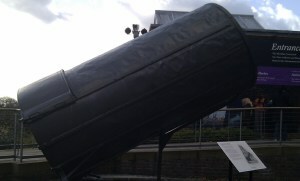 This is just one part of the 40ft long telescope that William Herschel, famous for the discovery of Uranus in 1781, had built but rarely used. Boys and their toys eh? Flamsteed House was built by Christopher Wren for the first Astronomer Royal, John Flamsteed. The red ball was known as the Time Ball and every day at 1pm, the ball would fall, allowing all around to set their timepieces. Those who may have been partaking of a few too many and missed this daily ‘missive’ were deemed to be ‘not on the ball’. 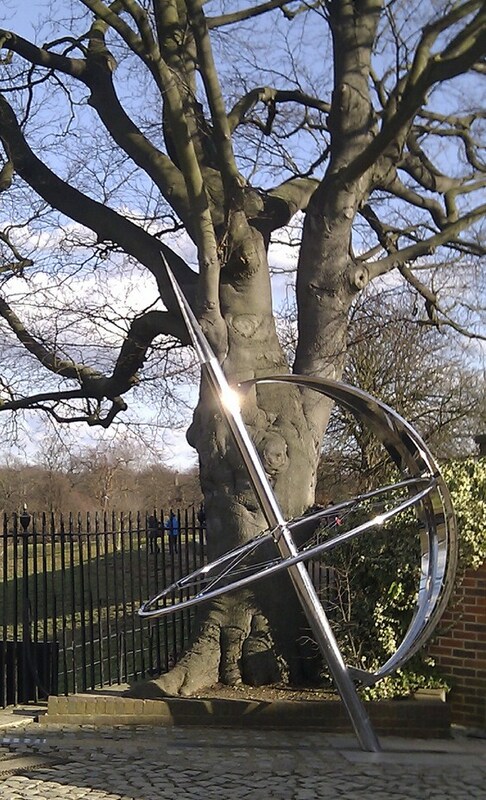 Told with great enthusiasm in the Prime Meridian Courtyard, we learnt about the beginning of ‘time’ itself. 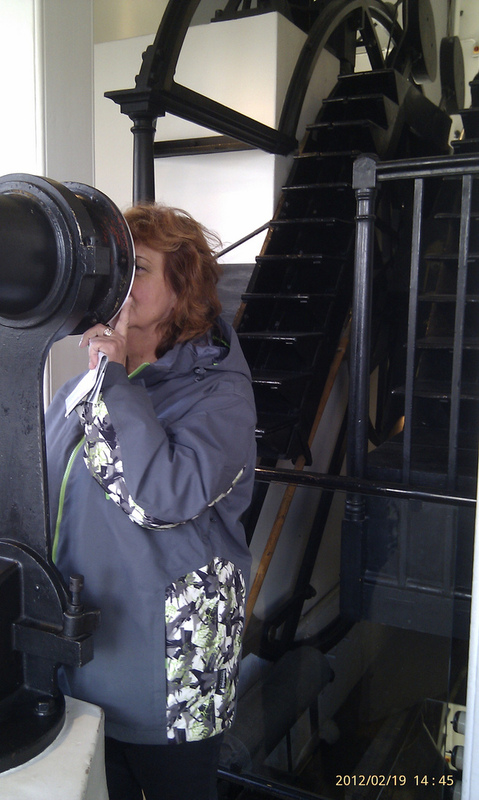 Mum though she should check out the Prime Meridian laser, just be sure. And here it is. The beginning and end of time. It lights up at night but it’s a little underwhelming for something so renowned isn’t it? We wandered around the galleries for a while and there’s some amazing stuff – like John Harrison’s 4 timekeepers – but it’s really difficult to get a good photo. 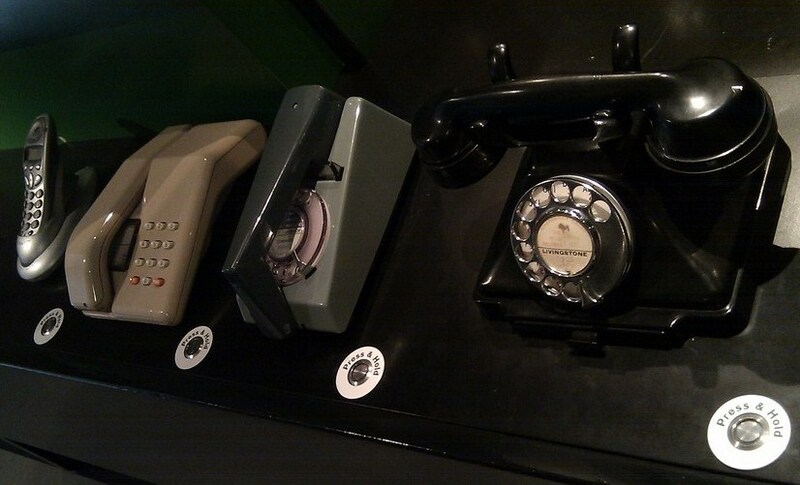 So you get this quirky display of telecommunication through ‘the ages’. I probably shouldn’t admit that I remember them all! The Peter Harrison Planetarium, home to the winners’ gallery for the Astronomy Photographer of the Year and our tryst with Patrick Stewart, he of Star Trek fame and narrator of ‘Secrets of the Stars’. This is also home to the oldest thing from my Departures post – a piece of Gibeon meteorite some 4.5 billion – yes that’s with a ‘b’ – years old. Finally it’s time for coffee and cake but boy it was chilly! 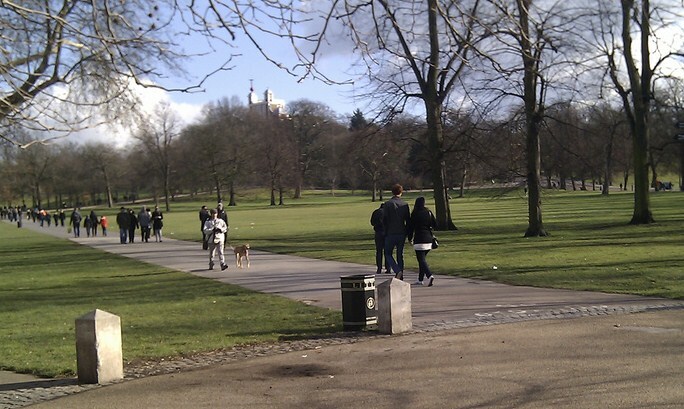 …headed back down the hill and across the park to the bus stop. I must admit that, in the face of the trek back to North London after so long on my feet, the little voice in my head was groaning a little with each step I took. A little ‘beam me up Scotty!’ would not have gone astray. So that was Greenwich peeps. The beginning and end of time immemorial. And definitely worth a visit with so much more to do than we managed in an afternoon. 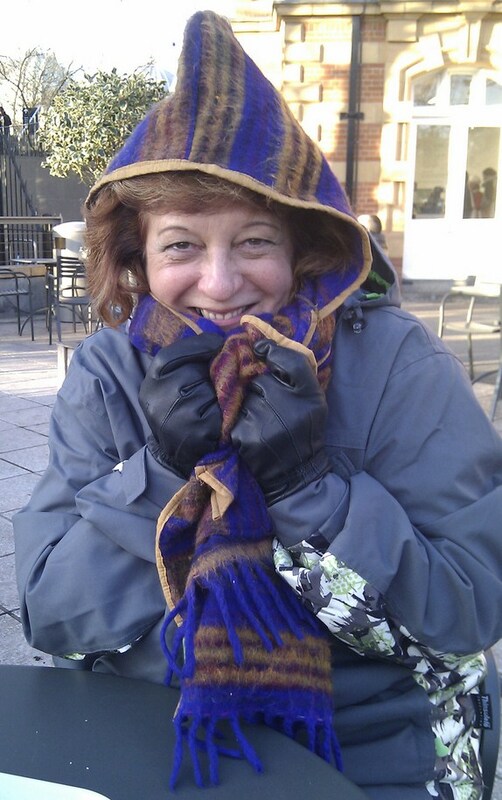 This entry was posted in Armchair Tours, Expat moments, Life in the UK and tagged Greenwich, Greenwich Mean Time, Life in the UK, Mum, Prime Meridian, Royal Observatory by Kym Hamer. Bookmark the permalink. . . what an enjoyable and informative post. You are right, so much more to see and learn than you might think. Lovely buildings in a great setting, and you've captured it very well.